This is my personal system. I believe you’ll find that you can customize it some to fit your needs and preferences (like handwriting on paper instead of typing), and still gain the same value that I do. Since this is all about how I apply the method outlined in part 1, I highly recommend that if you haven’t read part 1 recently, that you at least skim it again. Also, there’s a video of me demonstrating this at the end of the post. If you’d rather just watch that, just make sure to read sections A., B., and H., since they include important stuff, not in the video. 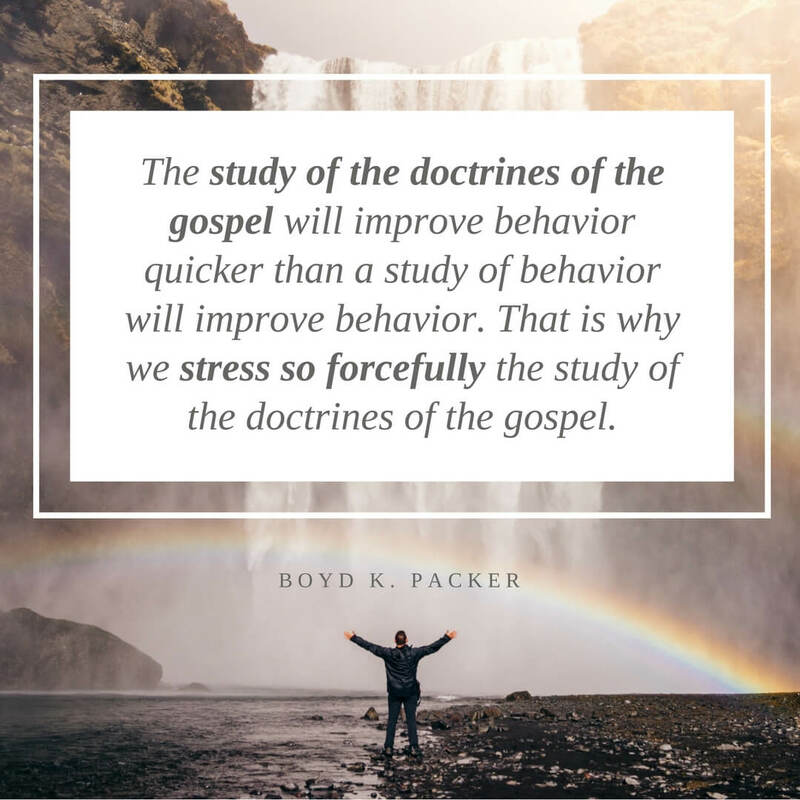 One practice I’ve found useful is simply to [study the scriptures]… for the first twenty minutes of the day. Not only does this squash my previous tendency to check my e-mail as soon as I wake up, it centers my day. It broadens my perspective and reminds me of the themes and ideas that are essential enough to have withstood the test of time. Personally, I use those first few minutes after waking up to do my “Five Minute” journaling (though I do it in Evernote). So I try to study scriptures as the first thing I do when I arrive at my desk for work. It’s vital to study in the way the authors intended. So if you’re reading the Book of Mormon, study it from front to back. Mormon compiled it that way for a reason. One exception is if you’ve stalled out in 2 Ne. too many times. In that case, start with Mosiah to get past the mental block that’s built up around reading Nephi’s books too many times. Other scriptural books are not so easy to go chronologically since they’re not arranged in order. I recommend the order: Matthew, John, Luke, then Mark for Christ’s life. Do some study on the best order of the Pauline epistles, so you can see Paul’s growth and changes in his approach over time. This doesn’t counter the advice to study topically. That’s because you can still dive into a topic, cross reference, and all that. It just allows the authors to guide the topic. It also allows you to gain insight into the way they teach, how they structure their arguments, and the overall narrative they’re trying to tell, in a way that any other method will completely miss. You know how to pray. But I will say I find it helps if I kneel, then specifically ask for the Lord to send the Spirit to be with me as I study. I ask to be taught the things the Lord wants me to understand that day. Some missionaries on my mission would cut the binding off a Book of Mormon, then photocopy each page onto a full 8.5 x 11″ page. They’d put the coppies in a binder. It gave them these wide margins all around the page for notes and insights. The way I do it is a modern, digital version of the same idea. I sit at my computer and use Evernote‘s web interface. I like how easy Evernote makes it to manage individual notes, search, switch between, and group them. You could do it in Google Docs, or even Word documents. My brother writes books in Google Docs and he’s told me how unwieldy it becomes as his books get to be hundreds of pages. So I recommend 1 chapter per note or document. I create a new notebook (do a folder for Google or Word docs) for each book and a new note for each chapter. I then copy the text of the chapter from this plain-text version of the scriptures. I use shift+ctrl+V (Chrome browser only) when I paste the chapter into the note. This pastes it without any formatting. I then select it all and make it bold (ctrl+B). That way there’s clear visual separation between my notes and the original scriptures. I usually do 4-5 chapters at a time so that I have the next chapter ready to study when I’m studying on my phone, where it would be hard to do the copy/pasting. I like that this plain-text version doesn’t include the chapter headers and footnotes. It allows me to approach it fresh (see section 4 of Part 1 in this series). Some additional ones you might want, depending on what you’re studying: English version of the Greek Septuagint Bible, Lectures on Faith, Isaiah Explained, and Book of Mormon Interactive Text that will be really awesome whenever it finally launches. After opening those, I move that Chrome window to cover half of my screen. Then I put the Evernote note (from D. above) on the other half. This way I’m able to read and write in the note on one side of the screen and reference these resources on the other side. It’s best to study for a set amount of time. This is another vital principle of scripture study. So setting a timer helps me clearly mark out the time for study. Plus makes it not seem like an overwhelming burden. 20 minutes is such a small portion of even the busiest day, that it always feels doable. I personally use Toggl, a free time tracker to track all my work time. So it’s easy to just set it running, and note when it hits 20 minutes. NOTE: Read an in-depth review of Toggl here. I work in a home office. My office door blocks about as much sound as a screen door (we’re renting). For a typical daily study session, I put on my over-the-ear headphones and turn on some sacred music. Since it’s Christmas, I’ve been listening to this excellent “Choral Christmas” Google Play radio station. The rest of the year it’s usually this station. The sacred music helps me focus and block out everything else. You could alternately use white noise. This is the same as #3 in Part 1: the Method where you write something at least every 4 verses. It forces me to think more deeply and synthesize more thoroughly when I have to write something about it. Writing what you learn facilitates understanding that merely reading can’t do. This is the key to real scripture study. It’s a process of re-translation. You and I must translate these books again. Word by word, line by line, verse by verse, chapter by chapter, God wants the whole thing translated once more, and this time he wants it translated into your native tongue, inflicted by your native concerns, and written in your native flesh. To be a Mormon is to do once more, on your own scale, the same kind of work that Joseph did. When we embark on a journey of translation or extraction, we get to ask for the Lord’s help in our quest. We can receive the power of the word in our lives just like great prophets of the past did as they translated and taught scripture. We’re doing the same thing they did: translating, studying, rewriting, compiling, and immersing ourselves in the word. If you’re not sure what to write, ask the questions I put in section #3 of Part 1. Often times I find something striking, but the context or previous study doesn’t offer any insight. In those cases, I first go to my study resources (mentioned above in E.) and see what I can discover there. An 1828 definition or the etymology of a word will frequently open up the meaning of a verse or entire story. If I still feel like there’s more to be learned, I’ll often Google the verse. Be careful when doing this, as the Spirit can leave really quickly if you start reading negative stuff. But often with specific verses the first several pages of results are 90% from good, faithful individuals writing their thoughts while embarking on this same translation process (some scholarly, many not). It’s often incredibly enlightening. I usually end up coming to some kind of conclusion that I feel comfortable with and writing it. A final step in this process is to share what you’ve learned. You should share the things you’ve learned that aren’t too personal or too sacred, with others. It’s the idea that you don’t really know something until you teach it. It’ll help you solidify that doctrine even more. Perhaps most importantly, the Lord may have taught it to you specifically so that you can help someone else. Kindly teaching them the doctrine might be just what they need. 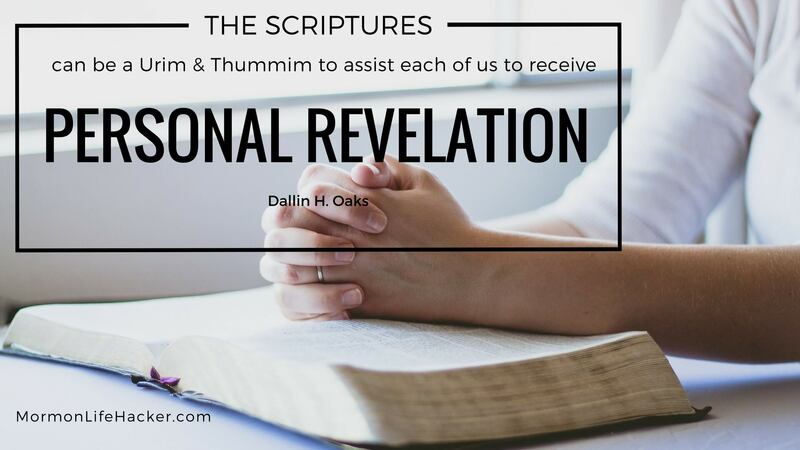 You can also share the scripture study method that you use with them. “Give a man a fish and you feed him for a day; teach a man to fish and you feed him for a lifetime.” Just like I’m doing here, you can teach people the power of daily scripture study, so they can gain their own spiritual strength and answers. I share by posting occasional insights on my blog SacredSymbolic. I also share by teaching my children most nights. Sometimes I retell them a story I’ve recently studied, fleshing out the “primary version” with details and insights I’ve picked up on in my personal translation process. Other nights we just read a few verses in our slow kid-paced study of the Book of Mormon, stopping to talk about each phrase or two and its meaning. Maybe you’re not a writer, but you can share in conversation with your family or friends. If you currently serve in a leadership position, you can share with those you lead. You can also share your growing testimony (and I promise it will grow if you use this method) of the power of the word that comes through daily scripture study. You can even share with your friends or coworkers who are not members. You may need to do it less directly, but you can still use the eternal truths you learn to bless their lives and help them in trials and situations they’re dealing with. Sometimes I can’t be at my computer. I can do the same on my laptop. If that won’t work, I can mostly replicate this on my phone. The resources are not quite as easy to access, but most have mobile versions. With modern Swype-style onscreen keyboards, or using 2 thumbs, I can write quickly enough. I can also still use headphones or earbuds and music. The advantage here is you can do it while waiting to get your tires rotated or in the Dr’s waiting room. I don’t recommend this, but when things get busy or you just forget, it’s helpful to be able to study when you can. I’ve not tried this on a tablet (which one commenter asked about). However, I’d say they’re less than ideal because their onscreen keyboards are too big to use quickly, and not tactile to type normally with. You could try using voice-to-text or possibly with 2 thumbs in portrait orientation. Or if you have an app that will capture handwriting, you could use old-fashioned handwriting, on your tablet. The additional screen real estate on a tablet could allow you to do a split-screen layout, though like I do on my computer. Is this helpful? Let me know how your daily study is going and what tweaks you make to my system. Also, let me know how it blesses your life. PreviousJesus Christ invited us to follow Him and #LIGHTtheWORLD. This Christmas season, millions of you did. LOOM Journals—an activity book, growth mindset journal, gratitude journal, creative writing journal, keepsake journal and art journal all in one! Get in on their Kickstarter today! Thanks for this wonderful and insightful series. In this part you mentioned Evernote as a tool to manage notes while studying. While I agree that Evernote is indeed an extremely helpful tool I’d also mention the negative points about it. If somebody uses Evernote he or she should keep in mind, that everything you save on Evernote is accessible by other persons. First of all there are Evernote employees. They are bound by strict company rules about accessing an account. But rules or not, they can access all your notes. Then there are government agencies. Since Evernote notes are not encrypted in any way, it is the easiest task to scan, search or simply access your account if and when an agency feels the need to do so. I do not want to discourage the use of Evernote (or any other similar services for that matter) but please keep these points in mind and decide for yourself. I don’t know wheter or not an encrypted service of similar nature exists. Maybe someone can elaborate on this. I’m at least not aware of such a service. All sending and receiving of data to-from Evernote is encrypted, as well as between their data centers. Usually, that’s where Gov agencies intercept it: in the transmission. You’re right that it may be easier to access if the Gov or a hacker gains access to Evernote’s servers. But this isn’t very different than most email providers and other cloud services most people likely use. Here is a wide margin printable pdf of the Book of Mormon that can be downloaded and printed. The wide margins are great for notes! Thanks for this series! Tevyia,you have really hit a home run on this scripture study series! Beautiful taught, explained, and backed up with the doctrine behind “why”… Thank you a thousand times over, I have implemented this system in my own life, and will report back with updates! Thanks Kirt for the compliments! It’s worth all my time and effort if these help 1 person. I’m blessed that this has helped me, so knowing it’s helped you, plus 1 or 2 others that have given me feedback, makes it all well worth it. I second your suggestion to study the scriptures in chronological order. The Institute Manual “The Life and Teachings of Jesus and the Apostles” goes through the New Testament in order. 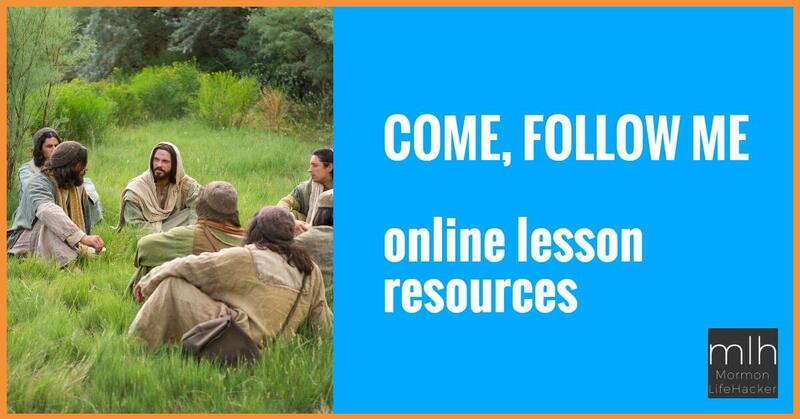 I took that manual, Jesus the Christ and the new Bible Videos and merged them all into a study course which I’ve made available on http://www.gospelprompt.com/study-courses/the-life-of-christ/the-woman-at-the-well/ (my scripture study site) . Going through the life of Jesus Christ this way made a tremendous difference for my comprehension of the New Testament, and I hope that it might help others as well. On another note, I’m a web designer, and both this site and SacredSymbolic.com are lovely. Nice work Tevya. Thanks Ashley. Both use the Extra theme from ElegantThemes. I, like others, have been blessed by this series. Yesterday was the first time I studied following (ok, semi-following since I was up with a cold so didn’t want to sleep) and see something new in 1 Nephi 1 that is never noticed before about Lehi’s example of how to seek answers from God and how to respond to the answer received (verses 4-7, 18) do THANK YOU! Thanks for this. I often find that I get more out of my scripture study when I have a pencil in my hand so that I can write and mark. I am curious what you do when you study a book of scripture that you have studied before. Do you start with a clean notebook or use the notes that you have already taken? I can see the value of building on what you have already learned, but also think that it would be valuable to start clean so that you are not influenced by what you have already written. Good question Brent. Right now I’m experimenting with re-reading the same stuff I’ve just studied over the past 6 months or so. I’m trying to read quickly to get the overall story. Once I get back to where I left off, I’ll go back into slow mode. But re-reading has still brought thoughts and questions. So when something comes to me I’ll also read my notes. If I already covered it, I don’t need to add anything. If I haven’t, or feel it could use clarification, then I’ll add or edit. But I’m going fast, so I try not to read my notes except when something that feels important occurs to me.